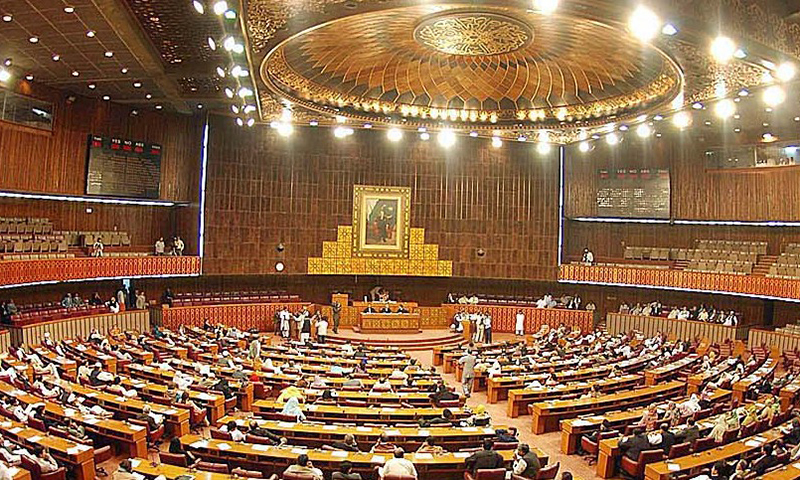 How much tax did Pakistani lawmakers pay last year? If income tax returns are the gauge of assessing the wealth, income and expenditure of public figures, then Senator Taj Muhammad Afridi is the richest parliamentarian in the country and MNA Chaudhry Muhammad Ashraf the poorest. The tax directory of the parliamentarians released by Finance Minister Ishaq Dar on Friday gives some insight into their wealth, based on the tax paid by the rich and the not-so-rich members of the National Assembly and the Senate, but the lifestyle and daily expenditures of many of them are in stark contrast to what the income tax declarations indicate. Few parliamentarians are among the highest tax-paying citizens, according to the directory of 1,074,000 taxpayers for the tax year 2015. 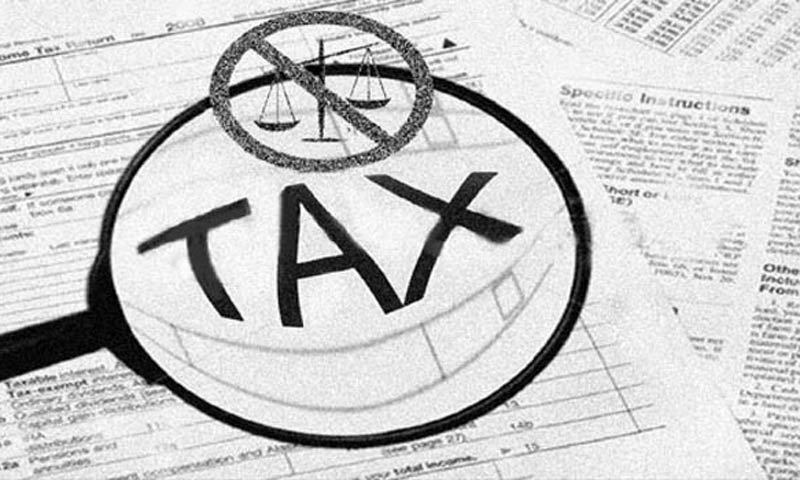 The third ‘Tax Directory’ and ‘Parlia­mentarians’ Tax Directory’ issued by the Federal Board of Revenue (FBR) on Friday shows that, save a few worthy exceptions, the sums paid as income tax by most of the elected representatives are laughably low and do not match their princely lifestyle. Also Read: Rs0.5m and up: What salaries and perks are parliamentarians asking for? 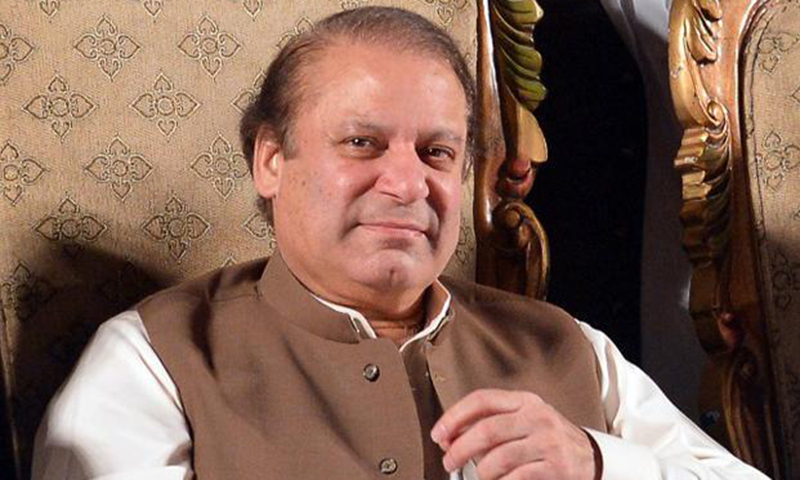 The country’s industrialist Prime Minister Nawaz Sharif paid Rs2.195m, his brother and Punjab Chief Minister Shah­baz Sharif Rs7.609m and the latter’s son Hamza Rs6.33m. The prime minister’s son-in-law retired Capt Muhammad Safdar paid only Rs49,902 income tax. Pakistan Tehreek-i-Insaf chairman Imran Khan, who lives in a palatial farmhouse, paid Rs76,244 tax during the year, whereas Jamiat Ulema-i-Islam chief Fazlur Rehman also paid a paltry Rs49,902. The directory has been compiled on the basis of returns filed by the parliamentarians with the FBR. Mr Dar said some legislators had not filed their tax returns for the year. “I request all parliamentarians and others to file their tax returns,” he said, adding that the list would be updated following the filing of their returns. Pakistan, he said, was one of the four countries issuing the parliamentarians’ tax details. Of the 303 members of the National Assembly on the tax roll, only MNA Syed Basit Ahmad Sultan Bukhari did not file the returns. The lowest income tax paid was Rs1,854 by MNA Chaud­hry Muhammad Ashraf and the highest Rs37.607 million by Jehangir Khan Tareen. According to the directory, senators paid more income tax than the MNAs. Out of the 90 senators on the list, 83 filed their tax returns, while seven did not do so. The non-filers include five women. Senator Taj Muhammad Afridi from the tribal areas paid the highest income tax of Rs41.712m, while Mushahid­ullah Khan of the ruling PML-N paid the lowest, Rs3,611. Senator Aitzaz Ahsan paid Rs24.931m, Mir Kabir Ahmad Rs16.024m, Talha Mehmood Rs14.02m, Farooq Ahmed Naek Rs13.527m, Rozi Khan Kakar Rs12.088m, Dr Muhammad Farogh Naseem Rs11.652m, Sajjad Husain Rs5.312m, Ishaq Dar Rs3.913m, Ashok Kumar Rs2.427m, Mohammad Yousuf Rs2.177m, retired Lt Gen Abdul Qayum Rs1.66m, Nuzhat Sadiq Rs1.04m, Babar Awan Rs2.958m, Gianchand Rs1.096m, Tanvir Khan Rs1.792m and Saleem Mand­viwalla Rs1.115m. Senate Chairman Mian Raza Rabbani paid Rs730,107. 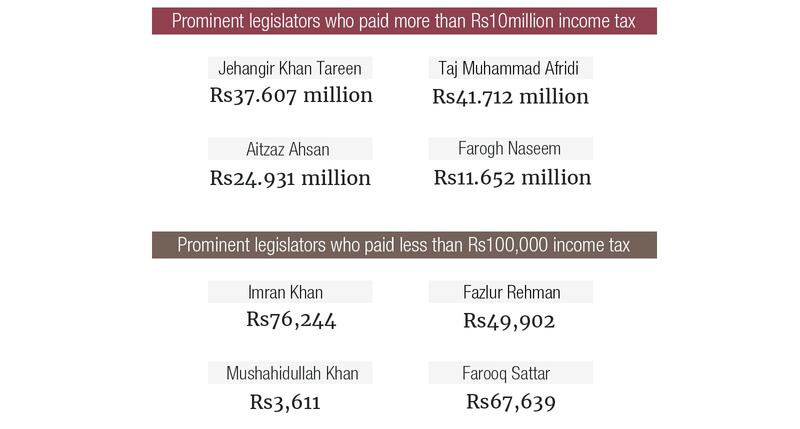 Most of the senators paid income tax in the range of Rs17,000 to Rs50,000, followed by Rs100,000 to Rs300,000, with a few exceptions. Among the MNAs, Hamza Shahbaz, son of the Punjab chief minister, paid Rs6.33m as income tax, Sheikh Fayyazuddin Rs13.0132m and Isphanyar M. Bhandara Rs7.49m. Prime Minister Sharif paid Rs2.195m, National Assembly Speaker Ayaz Sadiq Rs1.373m, Khwaja Saad Rafique Rs2.957m, Asad Umar Rs4.26m, Shahid Khaqan Abbasi Rs2.138m, Obaidullah Shadi Khel Rs1.106m, Rana Muhammad Ishaq Khan Rs1.059m, Shah Mehmood Qureshi Rs1.469m, Chaudhry Iftikhar Nazir Rs2.346m, Chaudhry Pervez Elahi Rs1.403m, Hafiz Abdul Karim Rs1.256m, Mir Ali Khan Magsi Rs1.049m, Faryal Talpur Rs2.267m, Abdul Sattar Bachani Rs1.341m, Muhammad Ali Rashid Rs2.97m, Aftab Ahmad Khan Sherpao Rs1.723m and Dr Tariq Fazal Chaudhry Rs4.26m. Those who paid less than Rs1m tax include Amir Haider Khan with Rs75,762, retired Capt Muhammad Safdar and Maulana Fazlur Rehman Rs49,902 each, Akram Khan Durrani Rs86,196, Sheikh Rashid Ahmed Rs312,383, Imran Khan Rs76,244, Khwaja Mohammad Asif Rs466,630, Ahsan Iqbal Rs106,897, Syed Khurshid Shah Rs113,740 and Dr Muhammad Farooq Sattar Rs67,639. More than 160 MNAs paid income tax in the range of Rs17,000 to Rs50,000 and 75 paid Rs100,000 to Rs800,000. All the 64 members of the Balochistan Assembly filed their tax returns and only four of them paid less than Rs1m, which is unprecedented compared to other provinces. Mir Hammal paid the highest, Rs8.09m, while Kishwar Ahmed paid the lowest tax of Rs917,048. Chief Minister Sanaullah Zehri paid Rs1.283m. Of the 371 members of the Punjab Assembly in the directory, 12 did not file the returns for 2015. Arshad Javaid Warraich is the highest taxpayer with Rs19.398m, followed by Sheikh Aladdin Rs14.026m and Zulfiqar Ali Khan Rs10.174m. Punjab Chief Minister Shahbaz Sharif paid Rs7.609m. The least income tax paid by an MPA is Muhammad Javed Awan’s Rs920. Other MPAs who paid over Rs1m are Rana Sanaullah Khan Rs1.08m, Chaudhry Nasarullah Ghumman Rs1.532m, Monis Elahi Rs2.603m, Mian Tariq Mahmood Rs1.147m, Shujaur Rehman Rs1.153m, Khwaja Salman Rafiq Rs2.057m, Ramzan Siddiqi Rs1.443m and Ashraf Rasool Rs1.037m. Around 150 MPAs of Punjab paid income tax of less than Rs20,000. Of the 168 members of the Sindh Assembly, only three did not file their returns but their names exist on the tax roll. According to the directory, Chief Minister Murad Ali Shah paid Rs661,661. Sharjeel Inam Memon is the highest taxpayer in the assembly with Rs2.098m, followed by Shaharyar Khan Mahar Rs2.073m, Haji Khuda Bux Rajar Rs1.663m, Sohail Anwar Khan Sayal Rs1.509m and Manzoor Husain Wassan Rs1.373m. No other MPA in Sindh paid over Rs1m as income tax. The lowest tax paid is by Aisha Khatoon of Rs5,009. More than 60 MPAs in the province paid less than Rs60,000. Of the 122 members of the Khyber Pakhtunkhwa Assembly, only three did not file their returns. Chief Minister Pervez Khattak paid Rs766,480. Sardar Zahoor Ahmad paid the highest tax, Rs10.055m, followed by Iftikhar Ali Mushwani Rs6.806m, Amjad Khan Afridi Rs5.502m, Noor Saleem Malik Rs3.191m, Fazal Shakoor Khan Rs2.41m and Muhammed Sheeraz Rs2.006m. Shah Farman paid the lowest tax of Rs10,000. Most of the MPAs in KP paid less than Rs100,000 as income tax. Patriotism brings richness to those who guard this fort. Imran Khan paid just Rs. 76,000 income tax is simply hilarious. First he should be honest and then he should tell others. Even big amounts paid as tax are highly likely to be "not correct". The amounts may look / appear to be "Big" but so what ? Why not possible that the payers have still been able to hide the real picture ? When it comes to tax our all legislators are same. They do not pay or nor they want to pay tax. Imagine these tugs are responsible for making law for the country. They will never make any law which is going to hit them. They squeeze existing tax payers with more tax rather then expanding base. Look at their life styles, the amount of property and assets they carry and monies they spend to maintain them does someone ask them where it come from? Until we have accountability at all levels Pakistan will never progress. If the income is so little, where did the wealth come from? The rich are getting richer and the poor are getting poorer. That is a physical law of the universe. Most of the senators paid income tax in the range of Rs17,000 to Rs 50,000. Increase their salary 10 fold. Ask them not to oppose cpec going forward. 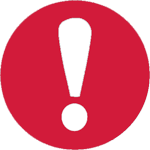 If declarations are not verified by the concerned authority, then where is the surprise. Pakistnai politicians are incompetent living off the poor - feeding their lust and hunger for power and wealth by eating the rotting flesh of the children dying in Thur for lack of basic facilities..
Each and everyone of them deserves nothing but contempt from us. @Zala IK is not an industrialist like Nawaz Sharif. IK is honest that is why he had no qualms in his tax figures being publicized. If you really want to compare then compare Jehangir Tareen with Nawaz Sharif. Jehangir Tareen has paid almost 29 times more taxes than Nawaz. Both are industrialists and having flourishing businesses. Nawaz' figure is a joke. Just discussing tax amounts without information on income does not make sense. Some one could be paying 20M but may be income might show he ought to pay 120M. How can anyone know? If tax is 10% of income (which is the lowest tax bracket) then Captain Safar and Molana Fazal earned only 490,000 in whole year. This is less than their salary as MNA. What a joke with nation. Tax paid by Dr. Tariq Fazal Ch is incorrect He only paid Rs. 34,662. Please make the correction. @Zala , maybe you should study the taxation system thoroughly to get the full insight on the matter..those who earn more simply give more ! @Zala What should Imran Khan pay on ? Is he supposed to pay a CGT on his House every year, or should he declare it a hotel and start paying income tax ? He has some agriculture land and endorsements which bring in his earnings, he isn't an active business man or an investor to be earning. The guy could have been earning billions but he choose to invest all his efforts to bring that change that he advocates and foresees for Pakistan. Have your facts straight before you put such a claim. Imran Khan is an advocate of Conflict of Interest law, which bares public office holders from doing business as it is in the rest of the developed world. One thing you can't point on him is dishonesty and financial corruption. Majority of the Pakistanies barely pay taxes. The only people who pay taxes are the one who used to work international companies. Pakistanies on whole have book 1 and book 2 when it comes to paying taxes. @Zala Do you know, what is Imran Khan's income? May be his tax is according to his income. What about bureaucrats, when will we know their assets and tax? Whatever money any state would have in its exchequer comes from people who pay taxes--directly or, indirectly. The people pay these taxes on the money they make through sheer raw labor, skill or, education. The only way for a state to collect more taxes is to improve the health--the physical sheer raw labor-- and the level of skill and education of the populace. I'm no senator, politician or industrialist. But I am certain my tax bill annually exceeds both NS, SS and IK combined! There is something terribly wrong with this tax data. Imran Khan and many others couldn't possible have paid so little taxes. What about Withholding Taxes? Didn't they purchase airline tickets for travel within and outside Pakistan? They may not have bought any cars or made investment in listed companies' shares, but i am sure they traveled by air a lot. Someone please clarify. Proof, that to be a politician, you have to be cunning, dishonest and a crooked. If you don't qualify to be a politician, than you are just a poor hard-slogging tax payer, paying through the nose to keep the politicians in the lap of luxury, who do very little for all the pampering with all the powers and privileges, that you wish you had. What an irony! @Zala Let FBR audit IK. I can bet he'll come out clean. I jave paid more tax than Shabaz Shareef as middle class worker in UK??? @Hassan that is not true. Tax can be on property, income,inheritance etc . Typical pakistani way of thinking that taxation is only on "income". It's IK should get reservation on economic backwardness. After so many years of playing cricket and name coming in PANAMA issue surprise to see his meager income. PANAMA should also discourage low income people opening account in their country it brings bad name as We think PANAMA has got some standard client but knowing income of their Clint shattered dreams of common people. I m grade 18, 12 years service, I monthly pay 7000/Rs tax. That makes 84000/ Rs annualy, more than IK and many others politicians. This is how system works. @Awes . Imran like the rest of us is no saint. But he ain't no hypocrite either, or atleast a lesser hypocrite than his peers, that is why he can talk straight, and less crap. @ghummansaqib . You must be honest, hard working, and a good person. May you life a long and happy life. Balochistan provincial parliamentarian paying the highest tax. Others should learn from them! I want to emulate these leaders. Unfortunately income tax created more criminals than any other single act of government.At least we know who they are..but they will always be patriots.Patriotism is our only conviction that this country is superior to all others because we were born in it..other than that ????? @Taimur lmao he is retired and this is income tax, not property or other personal belongings. Income tax relates to earnings not wealth collected. @Taimur Income tax is on income not in the size of home you live in, IK is the only opposition leader in the parliament - all eyes are on him, as he makes strong statements on corruption and tax evasions, he does not afford to evade tax and conceal income, if he does that whole of Nawaz member in the assembly will be on him. If he paid Rs. 76,000 his income would have been such that made the income tax so low. Remember he is not a mill owner or landlord he does not even work his sources of income are very limited. Please always use your brain before making any comment. Panama Papers have proved who Pays taxes and who Evades taxes. It is good to publish this information. However it would be best if cost of privileges and perks enjoyed by these persons including the cost security and protocal provided to them. If these are compared with the taxes paid by them, there would be more startling revelations. @Salman - By filing Income Tax Return you do pay tax on "income" and gains only. 'Property rates' is a different tax form of tax that comes with a separate bill like 'water rates'! IK has a palatial house? Really? Compared to Raiwand? It is it important how tax was paid, what is important how much tax was evaded by these elected politicians!! Thair wealth is up but income is down. Hence the income tax paid goes down while the rest goes into increasing their wealth. Simple. @Alba I agree with in as much as it is universal, but not law. It is universal exploitation of those who are weak and poor. Only fools pay the most tax! Politicians wouldn't be politicians if they were not able to fool rest of the public and grab power, make empty promises, coin self-serving slogans, concoct schemes to enrich themselves, while contributing very little - morally, materially or intellectually - to the country. Is anyone surprised at these revelations? Honestly, I'm not. I am actually only surprised that Sharifs paid ANY tax at all. Imran Khan's personal estate at Bani Gala is surrounded by an exclusive road named Imran Khan Road. According to Google survey, his estate enclosed by the road is 731 yds x 434 yds, which comes to 317,254 sq yds. The covered area is 161ft x 110ft, which is 17,719 sq ft. At CDA's normal property tax rates, land tax at Rs. 4.5 per syd comes to Rs. 1.427,643 and covered area at Rs. 5.25 per sft comes to Rs.92,998, with a total annual tax on property alone of Rs. 1,529,641. Just declaring what they paid as tax is irrelevant. List should include what they have shown as their income along with its source. Is loot and plunder not income? The benefits, due and undue? Gifts, bribes, 'Inayats'? After all tax is determined on the basis of income. Question is are they honest enough to declare their income from all sources - legal and illegal. It is their honesty that determines whether or not they are worthy of law making procress. It is not just being elected or grttimg appointed through questionable election or qualification. Besides it will also show the rate of change in their financial status after becoming MPA, MNA, Senator, ministers, adviser, special adviser, ghost adviser, etc. @Hassan There is a WEALTH TAX in Pakistan too. Sorry to say but we don't need and don't believe these amounts numbers and figures of tax payers released by FM Dar. We need to know who evaded how much tax during The last 10 years and those serious tax cheaters must be brought to justice. @Talha For me both IK and Nawaz sharif have make fun of nation.A person only paid 76000 as tax, living in 300 kanal land ,no logical person here can think of filing income tax with honesty by IK.Nawaz Sharif though has now nothing in his name as per records,all belong to his children,he is experienced enough to play with tax system in his favour,again this is not honesty. I also paid around 76000 tax last year but I cannot afford to live in a 300 Kanal mansion, fly around in choppers, drive around in SUVs and take holidays in London. Does this include property taxes or only income tax? Income from assets/investment? @Zala, How do you know he is not being honest? Does the income tax paid by the Prime Minister the make him the poorest PM in the world? Good, that they pay taxes, but you'll have to stop the leak (corruption)at the bottom of the reservoir ( of public money) so that ordinary people can benefit. It is official. If you live in Pakistan, expect to be robbed by the rich politicians. If I am correct, one million Pakistani Rs is around 9600 US dollars. I am an average Engineer working in the USA, I paid more tax last year than the PM of Pakistan, do your own maths, you will understand why we as a country are so far behind. Hats off to senator Aitazaz Ahsan, his tax seems to be at par with his lifestyle. Pakistan needs a good taxation system. @Hassan So you mean to say that Imran Khan is not earning enough...so who is affording his life style...his wealth????? @Talha If he is honest than who is affording his life style? I am sure few Indian leaders can beat Pakistanis by paying much low or no tax. I am a government servant and get paid Rs 90 k per month and Rs 7k is deducted every month from my pay . This is approximately 96 K per year . So do these law makers even earn less than me. PMLN government is bent upon to take everything from middle class. They intend bringing middle class down to lower class by putting extensive taxes on them . We used to survive on buying and selling polts. They have now put capital gain tax on them aswell. Only option left for us is to immigrate. Collection has always been a problem. Add to it a not very well defined tax base making it that much more difficult to enforce. A simplification will allow easier enforcement, but that would mean changing the entire political system. That should probably happen in about 1000 years, or so. By then we will owe so much to other nations, that even if all taxes were collected, we would be paying just interest for another 1000 years. No. Indian PM has less income (1.92m Indian Rupees per year) than what Pakistani PM has paid (2.195m Pakistani Rupees) as income tax. Any raise to hard working (rich) parliamentarians should be according to their life style, so they can continue with working so hard for poor people of the country. Lets give them at least 200% salary raise to keep them happy. How much there companies they own pay taxes that's important. In Pakistan rich businessman pay usually high taxes but common people who use these taxes in the form of roads electricity school and colleges universities pay nothing or very less. Why politicians in pakistan have property in their name? Choose politicians like Vajpayee, Abdul Kalam or MODI, who are bachelors or staying as bachelors. Modi does not have a family to support. His wife use bus to travel and his mother stay in normal old house. I think this happens only in india. If Imran Khan is not paying his taxes why the Govt does not nab him and punish him.This shows that the rulers are incompetent and ought to be removed. Living in a big property does not make you liable to income tax...earnings are taxable under income tax. This makes amply clear why Pakistan depends on grants. @Saad IK used to earn big in his playing days. The large house was made back then. The taxes are on income. IK isn't running any sugar mills, Nawaz Sharif is. Therefore, Nawaz Sharif is earning much more and should pay more just like Jehangir Tareen. After reading what all party leaders, Ministers and MNA's and the rest of them paid in taxes, I literally threw up, remember the old saying "Highway robbery in broad day light" And as party leaders, where are Zardari and Bilawal's names and what they paid? Maybe I missed. Did you know according to ECP, Nawaz Sharif has no assets abroad. Now compare the amount paid in taxes by our Sharif family, how about what Imran Khan paid, need I say more? @farah What lifestyle are you talking about? IK doesn't have mansions in England like Nawaz Sharif. IK is earning enough to pay the taxes he paid and to live a decent life. You won't find IK shopping in the world's most expensive stores like Nawaz Sharif. @Hassan Wrong, Tax is on income, assets, property taxes, tax on money sitting in the back collecting interest,that's taxed too, unless Pakistan has its own system where people only pay income tax and only income tax based on what they claim and not reality, oh wait, is that why Nawaz only paid 2.1 mllion Rs and Imran Khan paid 76 000 Rs ? @Taimur Should I laugh or cry at your comment and the naivety of it. My friend income tax is paid on income and not on the size of one's property. The figures mentioned are those of income tax. It is this naivety that parties like PMLN exploit, come into power and then deliver nothing but road inauguration ceremonies! @Zala .As u said,these are income tax returns.IK is a retired cricketer with no regular source of income.He is not a mill owner or an investment magnate.So I am sure these returns are based in his income in Pakistan. Most important part missing is their assets (domestic and Foreign). All public figures need to disclose their assets since corruption is one of the most critical factors affecting governance. Also Instead of Ishaq Dar presenting the numbers, it should be an appropriate institution like Attorney General or State Bank. Politicians not filing income tax returns is unique to the rich and powerful in subcontinent. They feel they are above law. Your tax depends on how much money you earn and not on the "marlas" of your home. I am sure people who have properties in Pakistan pays property tax separately... correct me if I am wrong. Only income generated from properties should be part of income tax. Saying that, if not all, most of the people listed above cheat in filling for property tax, I am sure. our economy base on cash so it is difficult almost impossible to find out correct income of individual. so first we have to change our economy system on bank base and should be all transaction in chequs after that we will be able to find out correct figures. second in Pakistan most tax collected indirectly via sale tax,excise tax,custom etc,direct tax portion is minor/less in our tax collection,instead of correcting the tax system our finance minister regular increasing indirect taxes that have bad effect on economy and also burdens on low income segment of society because rich and poor paying the same volume of tax and rich become more rich and poor stand poor. Great point...but that isn't what income tax is calculated on. @Taimur This is because you still use Marla not feet or meters for dimensions. Once you are educated enough to measure in standard parameters and know your Tax deductions, your Tax will come down. You need to get more educated for Taxation. @Govt Job Thank you so much for the information. @Taimur If a guy pays 25 million rupees as income tax, how much would have been the income itself? Any vague idea? I am in a a highly technical field which does not pay very high and I pay more taxes than the likes of Imran Khan and these MNAs, MPAs, senators and what-nots. I don't have a choice, it is deducted from my salary from source. I live in a rented house, I doubt I'll be able to own a home in this lifetime. The amount of taxes we pay on every day items and the amount of rent demanded by the rich landlords who own multiple properties in Islamabad (no, my landlord does not pay tax on the income they receive from us) is increasing every year exponentially. However, I get a 5-10% increment in my salary every year which is peanuts in comparison. I am a middle, working class woman in the discipline of engineering, people from outside think us 'middle-class' snobs are so lucky. The truth is that a salaried person is always living on the edge, we don't get to save much and unfortunately my parents moved from a village to the city and do not have any property in their name. Long live Pakistan! @Sara 1st its 'mutinational' companies, 2nd every government/private sector employee gets his salary after tax deduction.Also every citizen pays GST on every item he/she buys. @Sara Pakistani people pay lot of taxes. You know Pakistan is included in the list of countries where indirect taxes are more than direct tax (income tax). Even people not liable to pay income tax have to pay income tax through withholding like on telephone prepaid cards, electricity, vehicle registration, vehicle token etc. Enough Freeze the money of tax evaders to tax limit payable by them from their bank accounts ! @East Indian Our Great PM, Lal Bahadur Shastri also. So it is clear they all have other business interest apart from the full time work as a representative, How much tax have they paid on their salaried income as a member of legislative assembly, in addition to this, one must work out the cost of additional benefits to the members. Don't think the figures of tax are correct.Firstly,from salaried persons ,tax is deducted at source.Tax deducted from salaries say 10% of legislators is definitely more than one month salary which is few lacs.Then how come some of them paid less than 50000.I guess figures may be exclusive of what was already deducted at source. What however is surprising,what action has been taken against those legislators who have not submitted their returns?